Apple and Samsung have both tossed out about half of their patent infringement claims against each other in their California lawsuit. The move came in response to a warning from Judge Lucy Koh that their filings were too complex and would substantially delay the trial if not trimmed down. Apple filed its slimmer case with the court late on Monday, and Samsung did the same about five hours later, according to Florian Mueller of Foss Patents. Apple called Samsung uncooperative, and Samsung said it’s all Apple’s fault, and that the Mac and iPhone maker is slowing down the process so much that the case won’t be ready for trial this summer. Currently the two companies are scheduled for a July 30 trial start date. 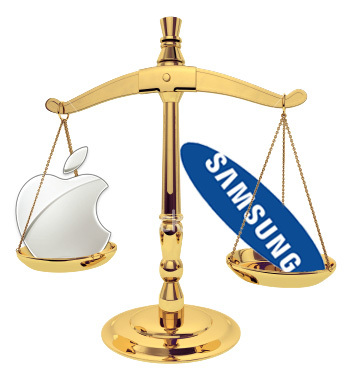 Apple and Samsung have been involved in a months-long patent infringement battle in courts around the world over allegations that each side is using mobile patents without proper licensing. At one point Apple’s attorneys claimed in court that Samsung has been “slavishly” copying the iPhone and iPad designs. Judge Koh told the companies that she wouldn’t put their cases in front of a jury until they were reduced to a more manageable size, or face a delay into 2013. The CEOs from both companies are scheduled to meet on May 21 to discuss the possibility of an out of court settlement at the request of Judge Koh. There isn’t any guarantee the two sides will reach a consensus, but there is at least a little hope for productive discussions since Apple CEO Tim Cook has said he prefers to avoid litigation when possible.